His latest album, 57th & 9th, was released in November 2016 followed by the critically-acclaimed 57th & 9th World Tour which recently concluded having performed 115 concerts throughout North America, Asia, Latin America & Europe. Hailed “the show of a lifetime” (The Vancouver Globe & Mail), Sting: Live At The Olympia Paris will be released November 10 on DVD and captures the musician’s guitar-driven rock tour as it hit the French capital at the iconic venue in April 2017. He has appeared in more than 15 films, executive produced the critically acclaimed A Guide to Recognizing Your Saints, and in 1989 starred in The Threepenny Opera on Broadway. His most recent theatre project was the TONY-nominated musical The Last Ship, inspired by his memories of the shipbuilding community of Wallsend in the North East of England where he was born and raised. The show, with music and lyrics by Sting and book by John Logan and Brian Yorkey, ran on Broadway in 2014 and 2015. 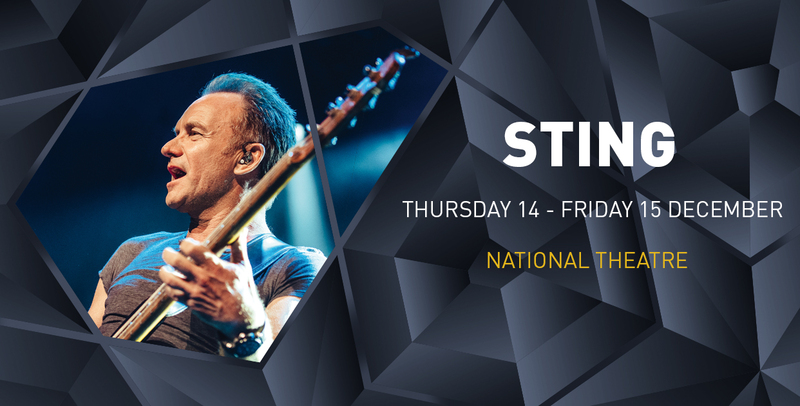 For this concert, Sting will be joined by a 3-piece band including his longtime guitarist, Dominic Miller, Josh Freese (drums) and Rufus Miller (guitar) performing his most celebrated hits from both The Police and his solo career, as well as songs off his latest, critically-acclaimed album, 57th & 9th. Dress code is Smart Casual. No sports clothes are allowed. No photography is allowed during the event.